Save up to 20% on supplies and go green with Lexmark Rewards. 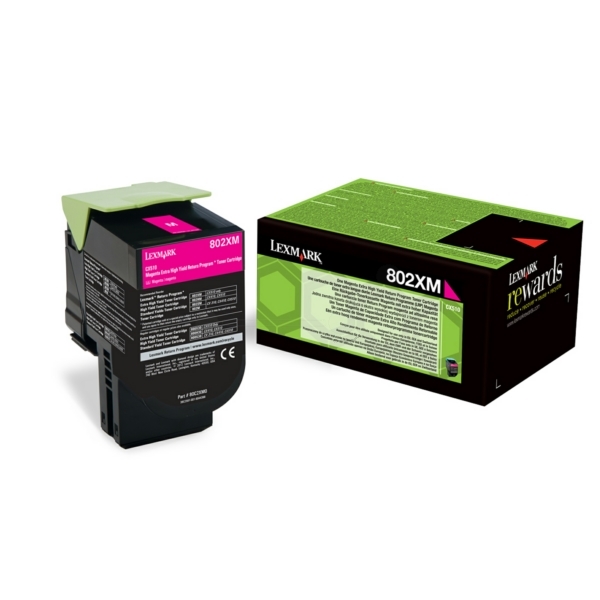 You'll earn free High Yield toner cartridges and imaging kits simply for using Genuine Lexmark toner and returning your empty cartridges to Lexmark for recycling. Lexmark Return Program cartridges are patented print cartridges sold at a discount in exchange for the customer’s agreement to the licence requirement that the cartridges will be used only once and returned only to Lexmark for remanufacturing or recycling. These patented cartridges are licensed for single use only and will stop working after delivering a fixed amount of ink and/or toner. Ink and/or toner may remain in the cartridge when replacement is required. Replacement cartridges sold without these restrictions are also available.